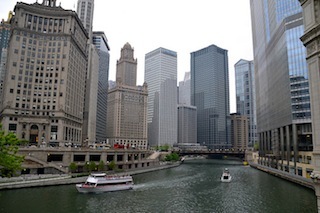 Living in Chicago has many advantages for bikers who need to live or work in the big city. You get a walkable downtown with great public transportation and where you could bike to work. Many apartments overlook beaches or harbors on Lake Michigan. Great boating is at your doorstep, as are many lifetimes worth of cultural programs. With 18 miles of public parks around the lake you get stunning views of the Lake. For serious bikers, the Grand Illinois Trail is a 537-mile bike loop trail to the banks of the Mississippi and back. 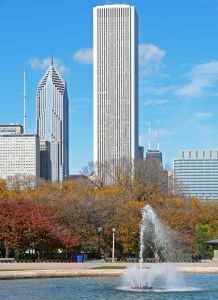 The metro area (10.0 million people) includes parts of Illinois, Indiana and Wisconsin.For a major city, it retains a mid-western friendliness, even on the dazzling commercial center of Michigan Avenue.